The sunsetless North Pole miracle in the Glorious Quran. We can, but the issue is, it appears as if we have to follow the prayer times AT mecca for the varying sunrises and sunsets of the worlds. Allah is the lord of the sunrises and sunsets of the worlds, but perhaps he made us pray at THE sunrise and sunset AT mecca. Not Mecca's time. You follow the vertical time that you are on. And today, with simple Google search, you find exactly when Prayer and Fasting times occur. As to the Witness System, I already elaborated on it in great details above, akhi. We've seen above the Glorious Quran's Prophecy about man will eventually penetrate space. Today, man is speaking about colonizing planet Mars. Certainly, the Prayer and Fasting times there would have to be estimated based on what the population reckons the times to be. Ok, so how will we then calculate/reckon Fasting and Praying on other planets? It will have to be done through reasonable calculations based on either the sunrises and sets of those planets, or by calculating and setting fixed times. 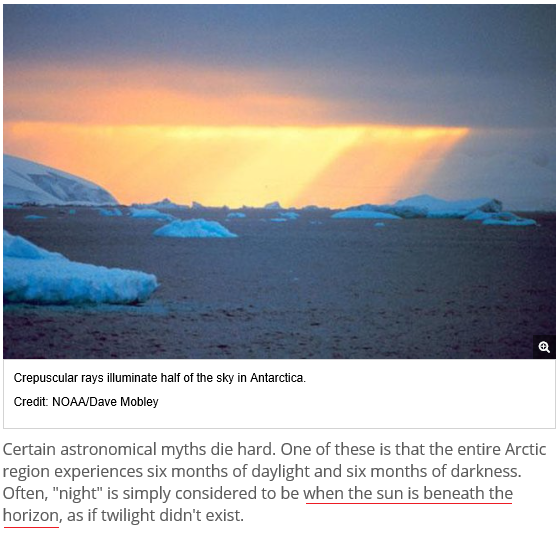 This claims that in some places on the globe there is no sunset except after many months. If you are to fast sunrise to sunset, this one would take 24 months and you would die. They say this mistake was made because 7th century desert dwellers didn't know about the poles or Earth's roundness. Also, what if you don't live on Earth, how do you fast? This Hadith was given to me by brother Submit on this website's blog, may Allah Almighty always be pleased with him. The sun's rising and setting POINTS on earth, mentioned in the Noble Quran and confirmed by science. 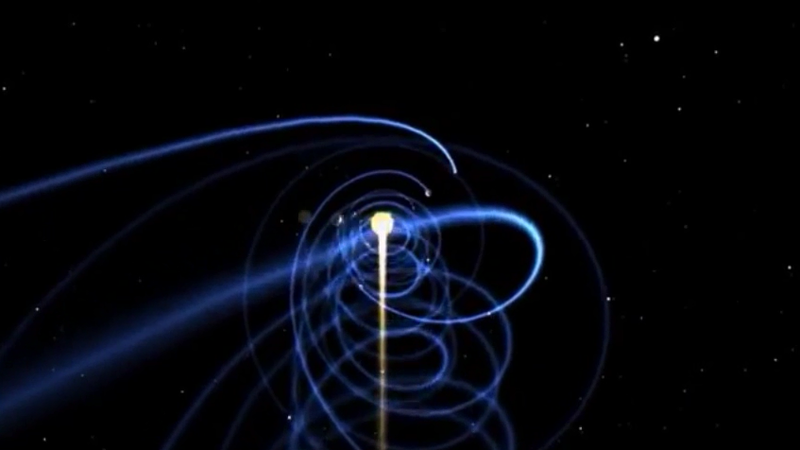 Many rising and setting points of the sun on earth. (a)- Allah Almighty is the LORD of every sunrise point in the entire Universe. (b)- This means that every plant has sunrises points. (c)- All plants to humans are spherical. Our moon is spherical. Our planets that our ancient world knew such as VENUS and others were known to be spherical. (d)- The sunrise points on those spherical planets clearly indicate that Allah Almighty knew about SUNRISES AND SUNSETS on spherical planets in the Universe. (e)- Earth was mentioned in this Noble Verse. This means that the SUNRISE POINTS also include the ones on earth, like all of those on all of the SPHERICAL PLANETS. 2- Is traveling in space. 4- Is speeding in space. How can you fast in the poles if sunrise to sunset takes months? Also how do you pray if there is a sunrise and sunset that takes 6 months? 2:185 The month of Ramadhan is that in which was revealed the Qur'an, a guidance for mankind and clear proofs of guidance and criterion. So whoever witnesses among you the month, then he should fast in it; and whoever is ill or on a journey - then prescribed number of other days. Allah intends for you ease and does not intend for you hardship and that you complete the period and to magnify Allah for that [to] which He has guided you; and that you may be grateful. 2:183-184 O you who believe, fasting is prescribed to you as it was prescribed to those before you, so that you may become righteous. Days numbered. So whoever among you is sick or on a journey, then a prescribed number of days, other. And upon those who can afford it, a ransom of feeding a poor. And whoever volunteers good then it is better for him. And if you fast, it is better for you, if you know. 7:29 Say, "My Lord has ordered justice, and set your faces at every masjid and invoke Him (being) sincere to Him in religion. As He originated you, (so) will you return." 2:114 And who is more unjust than one who prevents His name from being mentioned in the masajid of Allah, and strives for their destruction? Those, it is not for them that they enter them except (like) those in fear. For them, there is disgrace in the world and a great punishment in the Hereafter. 4:103 Then when you have finished the prayer, then remember Allah standing, and sitting, and on your sides. But when you are secure, then establish prayer. Indeed, prayer is prescribed for the believers at fixed times. 11:114 And establish the prayer at the two ends of the day and at the approach of the night. Indeed, the good deeds remove the evil deeds. That is a reminder for those who remember. 73:1-6 O you who wraps himself, stand in the night, except for a little, half of it, or lessen from it a little, Or add to it, and recite the Qur’an with measured rhythmic recitation. Indeed, We will cast upon you a heavy Word. Indeed, the rising at the night is very hard and most potent and more suitable for Word. [002:185] Ramadan is the month during which the Quran was revealed, providing guidance for the people, clear teachings, and the statute book. Those of you who witness this month shall fast therein. Those who are ill or traveling may substitute the same number of other days. GOD wishes for you convenience, not hardship, that you may fulfill your obligations, and to glorify GOD for guiding you, and to express your appreciation. So if the Holy Month is Witnessed by a Muslim Community, then all of the Muslims should Fast. 3- Allah Almighty Said that when we're in doubt about the right direction, wherever we set our faces for Prayer, we'll find Allah Almighty. [002:115] To God belongeth the east المشرق and the west المغرب; therefore whithersoever ye turn your selves to pray, there is the face of God; for God is omnipresent and omniscient. "There are stores. Mclinkin94 is in a store. The store that Mclinkin94 may be in (no one knows where Mclinkin94 is) is still acceptable." Here "the store" could be any of the stores, indicating that all of the stores are equally the same; that regardless of which store brother Mclinkin94 may be in, that store would still be ok.
1- Set their time on the time of the nearest land that gets proper sunrise and sunset. 2- Set their own time and follow the best estimation for both Prayer and Fasting times. 3- Follow Mecca's time, since it's the Original Source. 4- And in any case, they should pray toward Mecca. Also the moon's orbit around earth is S-Shaped: http://www.answering-christianity.com/moon_orbit_miracle.htm. "And We have decreed set phases for the moon, until it ends up looking like an old date branch كالعرجون القديم. It is not for the sun to overtake the moon nor for the night to outstrip the day; each one is swimming in a sphere. 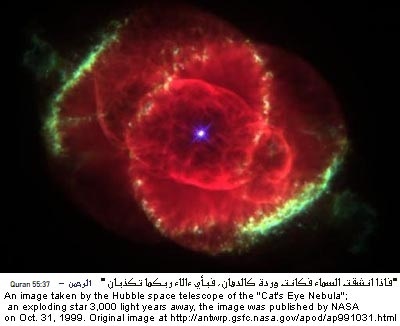 (Qur'an, 36:39-40)"
Please do not expect the Glorious Quran to mention everything about geology or astronomy. The Holy Quran isn't a science book. However, what you can and should and must expect from the Holy Book is for It to not negate or clash with or contradict an established Scientific fact. That you would be correct on pursuing. But to expect the Holy Quran to mention the North and South poles just wouldn't be fair nor right. The points that I mentioned above clearly demonstrate that Allah Almighty's claims about earth never negated nor are they in any contradiction with the fact that earth has North and South Poles, and that the days and nights do take much longer in those places. 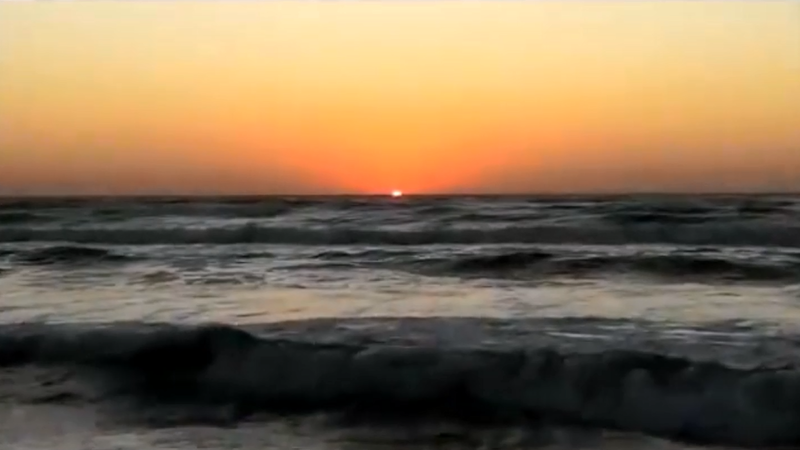 The Holy Quran is crystal clear about the earth having SUNRISES and SUNSETS (plural for both). To those who believed that earth was flat, and had one fixed point for sunrise and one fixed point for sunset, this statement from Allah Almighty is a contradiction to their false beliefs. The doomed-to-Hell Islam-hating infidels have nothing on Islam. All Praise and Thanks and Glory are due to Allah Almighty Alone. You could also raise the issue that perhaps the author of the Quran did not know that on the poles sunrise to sunset could last 6+ months and therefore didn't mention it. Although it is true that you could sync the times in the North pole and South pole to match prayer times of a close city, the Quran did not say what we are supposed to do if sunrise to sunset lasts entire months. This makes it seem like the author of the Quran was unaware of such a phenomena of sunrise to sunset taking entire months. That means if we are to observe Ramadan in the poles, we would die. That means we don't have to pray 5 times a day in the poles? [003:110] Ye are the best of peoples امة, evolved for mankind, enjoining what is right, forbidding what is wrong, and believing in God. If only the People of the Book had faith, it were best for them: among them are some who have faith, but most of them are perverted transgressors. [002:143] Thus, have We made of you an Ummat امة justly balanced, that ye might be witnesses over the nations, and the Apostle a witness over yourselves; and We appointed the Qibla to which thou wast used, only to test those who followed the Apostle from those who would turn on their heels (From the Faith). Indeed it was (A change) momentous, except to those guided by God. And never would God Make your faith of no effect. For God is to all people Most surely full of kindness, Most Merciful. [021:092] Verily, this brotherhood امتكم of yours is a single brotherhood امة, and I am your Lord and Cherisher: therefore serve Me (and no other). [004:097] There are those who have wrought a wrong upon themselves. The angels (of death), would take possession of their souls and ask, "What was wrong with you?" They would answer, "We were too weak and oppressed in the land!" The angels will say, "Wasn't the land of Allah vast and spacious enough, so you could emigrate (and seek refuge) elsewhere?" Such ones would have an abode in hell. What a despicable destination! [004:098] Except for the men, women and children who are weak and oppressed! They are unable to muster the means (to migrate), and (therefore) find no way out. 1- Either physically migrate from the land that doesn't have proper cycles of days and nights. 2- Or set your time (migrate your time) to match a Muslim city or country that has the proper timing. I personally vote for going with the nearest geographical city or country that has the normal day and night cycles, preferably directly south or north of you, which is on the same vertical time zone and line as you (see image below for why). But other Muslims also say go with Mecca's timing. Either way is perfectly fine. 3- Noble Verse 4:98 clearly gives you the permission to stay in the land that doesn't have proper day and night cycles, especially when our Muslim countries are mostly corrupt today (this is also an Islamic End of Time Prophecy). So the person would need to set their Prayer and Fasting times to a Muslim city that does have the proper times, and insha'Allah everything will be fine. Like I said in my previous post, please do not expect the Glorious Quran to mention everything about geology or astronomy. The Holy Quran isn't a science book. However, what you can and should and must expect from the Holy Book is for It to not negate or clash with or contradict an established Scientific fact. That you would be correct on pursuing. But to expect the Holy Quran to mention the North and South poles just wouldn't be fair nor right. 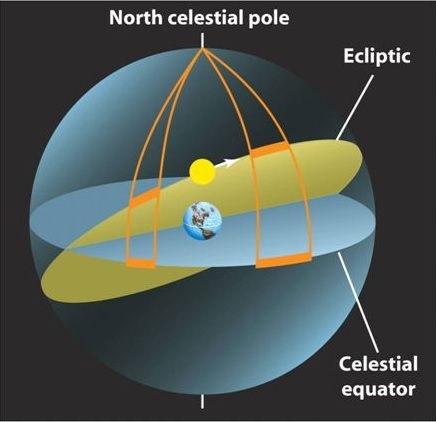 The points that I mentioned above, in this post and in the previous one, clearly demonstrate that Allah Almighty's claims about earth never negated nor are they in any contradiction with the fact that earth has North and South Poles, and that the days and nights do take much longer in those places. To those who believed that earth was flat, and had one fixed point for sunrise and one fixed point for sunset, this statement from Allah Almighty is a contradiction to their false beliefs. I'm having an issue with this point. It appears as if the verses you posted were talking about physically migrating rather than migrating your time. Is there any indication that it refers to migrating the time? I don't see it yet, maybe it is the Arabic. "Migrating your time" was probably a bad choice of words from me, because you'd be on the same vertical time line as any city that has normal day and night cycles, as I already explained. So apologies for this confusing term. What I meant by it was to adjust yourself to the time of the nearest city that is on your same vertical timeline and has normal day and night cycles. You wouldn't need to migrate. You'll just have to adjust yourself to the nearest city to you, either north or south of you, and set your "days" and "nights" according to them, and work with their timings. And by the way, in those countries, they do exactly that. When they have six months of night or day, for example, they wouldn't have to worry about a thing, since they have already adjusted themselves to the normal cycles' hours, and work with the rest of the country's times. So if your job is 8:00 am to 5:00 pm Monday thru Friday, then you would adjust yourself to work during those hours regardless whether it is night or day at where you live. So for Prayer and Fasting, you should do the same. But, this then leads to the initial problem that the Quran did not state what to do when sunrise/sunset lasts 6 months. In a sense, the skeptic could rightfully argue that this implies that the author was unaware of such an event. But, it would be more beneficial to deal with the skeptics if we have a clear Quranic verse that describes what to do in an event of prolonged sunrise/sunsett. Perhaps the Quran does refer to it. Do you know of any verses? Your first main point: You are forcing the rule that the Holy Quran should've mentioned the North and South Poles. My response: I have already thoroughly demonstrated above how Allah Almighty Said that the earth is Spherical, is traveling in space, is rotating around its own axle, and does have many Sunrise and Sunset points. So the North and South Poles are indirectly mentioned. [002:143] Thus We have appointed you a middle وسطا nation, that ye may be witnesses against mankind, and that the messenger may be a witness against you. And We appointed the qiblah which ye formerly observed only that We might know him who followeth the messenger, from him who turneth on his heels. In truth it was a hard (test) save for those whom Allah guided. But it was not Allah's purpose that your faith should be in vain, for Allah is Full of Pity, Merciful toward mankind. Muslims today are indeed geographically in the Middle of the Earth! We are neither concentrated North nor South. We are concentrated in the Middle. Could this Noble Verse be also referring to the North and South Poles issues that you brought up? Only Allah Almighty Knows. But the Holy Quran is crystal clear about us being a NATION IN THE MIDDLE to be Witnesses on mankind. So could we apply this Noble Verse to the exceptional situations in the North and South Poles? I say yes. After all, the Holy Quran is a Scientific Miracle, and is Divine from Allah Almighty. So this shouldn't be something odd or off. Think this is just too Ridiculous and Impossible? 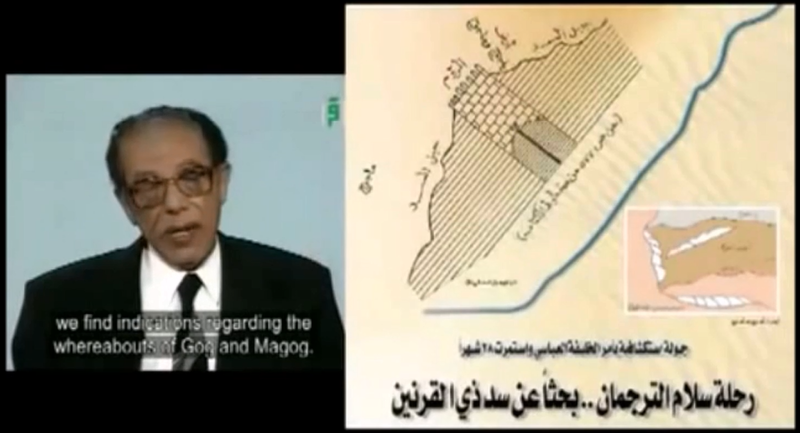 1- Did not Allah Almighty also Say that the Dead Sea area is the lowest land on earth? And this had been scientifically proven to be STUNNINGLY TRUE! So why can't it be a fulfilled Divine Prophecy then? 1- A Prophecy because we Muslims are indeed today concentrated in the Middle of the Earth. 2- A Miracle, because it is another True Statement from the Divine Book, the Holy Quran. I am telling you brother, the doomed-to-Hell infidels have nothing on Islam. Your second main point: You are forcing the rule that if one doesn't for example have daylight then he/she shouldn't pray and fast according to the Holy Quran then, since they can't determine the times through the day and night cycles. My response: Again, we have the Witness Rule in Islam. As I already demonstrated from the Holy Quran that all land belongs to Allah Almighty. So you're already part of the nearby land that already has the normal day and night cycles, and is on the same vertical timeline and zone as you are. So here, the Witness Rule would apply. Also the moon's orbit around earth is S-Shaped: www.answering-christianity.com/moon_orbit_miracle.htm. 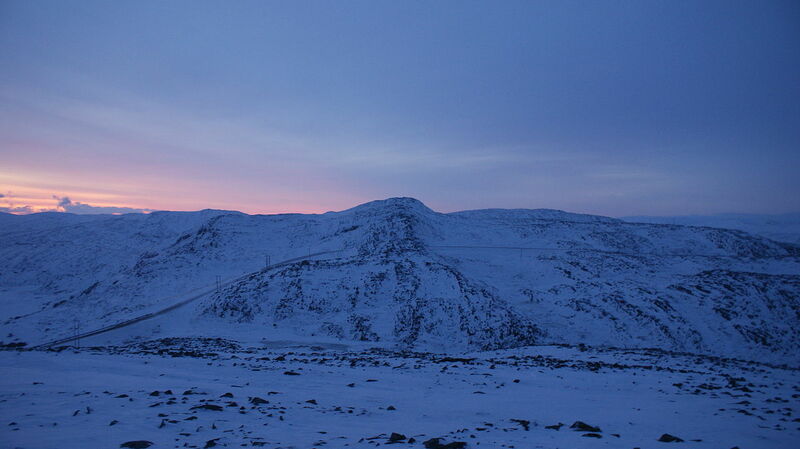 The sun does rise and set in both the North and South Poles regularly and daily. It doesn't sit still in one fixed position in the sky for months. No, it regularly moves, and it regularly rises and sets. So Muslims living in such areas can easily adjust to the sunrise and sunset times and determine their Prayer and Fasting times, especially when they use the regular times of the nearest city that is on the same Vertical Timeline as them, and has our normal day and night cycles. The witness Rule or Law is very simple. If a Muslim community, or even a small group or even a single genuine Muslim, witnesses the start of Prayer or start of the Holy Month of Ramadan, then everyone must follow thru even if the weather is bad and time couldn't be easily determined. This also applies with best estimations by the religious leaders of the community, especially under bad weather conditions where the sun and daylight aren't clear at all. So once the time is determined, whether by actual Witness or an Estimation, then every Muslim must follow thru. So you can use that Rule if you're living in lands that don't have proper day and night cycles with other cities that have normal day and night cycles, and are directly north or south of you on the same vertical timeline. I do agree with your response that the Quran has alluded to those phenomenon, but the skeptic's argument was not that the Quran was unaware of the North/South pole, it was that the Quran was unaware of the different sunrise and sunset times in those poles taking an entire months and therefore did not mention what to do if you are living in such an location. Not true at all, akhi. 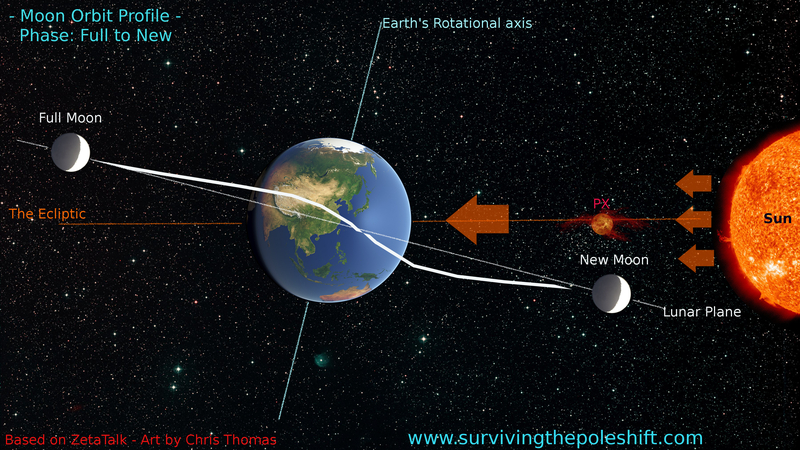 The sun and the moon rise and set every single day on the North and South poles everyday in the year. The only difference is that the sky is either always bright or always dark for months long. But you do clearly see the sun and the moon (depending whether it is bright or dark) rise and set every single day as the Youtube links that I gave above clearly demonstrate. So the same 24 hours that you and I pass through during our days and nights, are the same 24 hours that they also pass through. They do have AM and PM times. They do have sun rises and sun sets, and moon rises and moon sets. They do have cycles. Why not use those? After all, Allah Almighty is the "LORD of all of the SUNRISES and SUNSETS"  on earth, as He the Almighty Said in the Holy Quran, as I've shown in the posts above. And if even if we didn't want to use the sun and moon rises and sets in our current lands, we could always revert back to using the nearest city's times, which would be the same times as you'd be using if you were in either the North or South Poles anyway. If I were living in such lands, I would use the Prayer and Fasting Times of the nearest city that is on the same Vertical Timeline as my city is on. 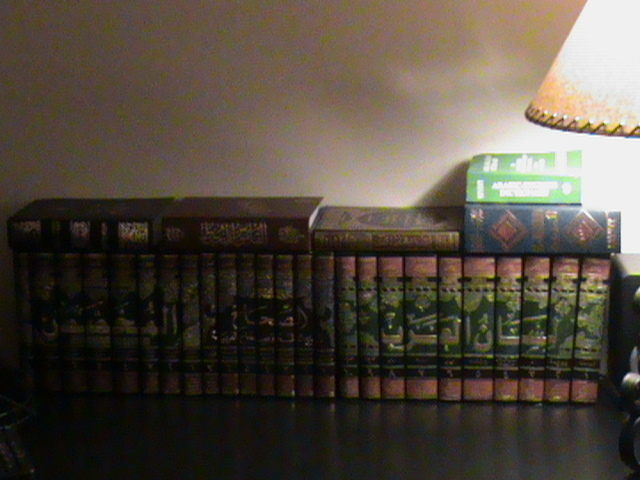 This way, I would true to the Holy Quran in every way. After all, all land is one, and it belongs to Allah Almighty as I also clearly demonstrated from the Holy Quran in the previous posts. So my land would be nothing but an extension of the land and is part of the land. I would use the Witness Law and apply it. Islam did cover it. Asalumu Alaikum brother Osama. Thank you very much for your responses! Is there any chance that you could explain the Quranic exegesis for this point? I don't see the Quran giving this witness rule, it appears that the Quran says if any of us witness it then we should fast it rather then the entirety of Muslims. As far as the Muslims being witnesses for all nations, I think these verses are referring to muslims being witnesses on the day of resurrection rather than witnessing when Ramadan starts. [002:204] Among people are the likes of the ones whose suave talk about this world charms and astounds you. He (professes good intentions and) invokes Allah as the witness over what exists in his heart. But (in reality) he is the most dogged and quarrelsome opponent. [002:282] Oh you who believe! When you contract a debt for a fixed term, reduce it to writing. Let a scribe record the terms in a fair manner. The scribe whom Allah has taught to write should not refuse to write. He should record (the transaction). The one who incurs the debt should spell out the terms. He should fear Allah and not omit anything. If the borrower lacks understanding, or is feeble (minded), or is otherwise unable to dictate, then his guardian should dictate (the conditions of the loan) in a fair manner. Call upon two of your men to act as witnesses (to the contract). Should two men not be available (to act as witnesses), then take one man and two women _ if one of them errs, the other would remind her (women back then were not specialized in financial and mathematical transactions. Men were far more experienced and superior in knowledge) _ that are acceptable to you as witnesses. The witnesses should not refuse if called upon to testify. Do not neglect to write down (all) the (specific) terms (and provisions) of the contract, be they small or big. That, according to Allah is a more reliable evidence, and more likely to dispel doubts (and suspicions). You bear no sin if you fail to record the on-the-spot exchange of goods for cash, that goes on between you (all the time). But, take witnesses when you enter into a commercial contract. Do not harass or harm the scribe or the witnesses. It would be wicked and immoral for you to do so. Fear Allah! (Of course) Allah teaches you (righteousness). Allah has full knowledge of every single thing! [003:053] "Our Lord, we believe in that which You have revealed, and we follow the messenger. So enroll us among those who bear witness (to the truth)." [005:107] Later, if it comes to light that the two witnesses merit (the suspicion of) sin, then let two others from among the rightful heirs (of the deceased) take the place of the earlier witnesses. Let them swear by Allah (saying), "Our testimony is truer and more valid than their testimony, and we do not stray beyond the bounds (of truth). Else, we would be the evil doers." [006:150] Say, "Present your witnesses! Could anyone testify that it is Allah Who has forbidden (all) this?" Even if they do testify (falsely), don't you bear witness with them. Do not follow the whims and wishes of those who reject Our revelations _ those who do not believe in the life-to-come, and deem others as being equal to their Lord. There are many other Noble Verses that speak about producing genuine Witness and relying on genuine Witness. If a Muslim or a community of Muslims Witnesses the time for Prayer or Fasting, then it becomes obligatory upon the others to follow. Moon rise and moon set wouldn't be considered a sunrise/sunset for 6 months as per Quran. It is not about whether you would be able to tell times at the poles :), we could already do that with our modern day time-keeping. Perhaps Allah knew that by going to the north/south pole and living there we would need technology to get there and having such technology would come with time-keeping and that Muslims could easily adapt by common sense therefore there is no reason to mention this in the Quran and confuse 7th century people about places where sunrise/sunset lasts 6 months. Plus this also serves as a test of faith for Muslims. Your points are thoroughly responded to there. The so many different SUNRISES and SUNSETS that Allah Almighty has Created in the Universe, and over all of the planets including our planet earth, since it was mentioned in the same Noble Verse, clearly prove that you are to work with the Sunrise and Sunset that is given to you. Prayer and Fasting are obligatory upon all Muslims. So Muslims would have to figure out the times for Praying and Fasting no mater which SUNRISE and SUNSET points they may be in. 1- When is your morning (Fajr, Subh). 2- When is noon (Thuhur). 3- When is your Asr (after noon or midday). 4- When is your maghrib (evening). 5- When is your Isha (night). The Fajr and Subh, Thuhur, Asr, Maghrib and Isha are all Islamic time-points for Prayer, and also for determining Fasting. So if you live in a land that has a different type of SUNRISE and SUNSET, then you'll have to figure out those times based on the daily rises and settings of that land, whether it is from the sun or the moon. Let me ask you and ask every Muslim and skeptic this question: Since we today could live to see the day where humans will establish a colony on planet Mars, then could you honestly sit here brother Mclinkin94 and say that the Noble Verses that spoke about Allah Almighty is the LORD OF ALL OF THE SUNRISES AND SUNSETS on all of the planets in the Universe, and all of the points on earth, wouldn't apply to life on Mars? [010:005] He is the One who rendered the sun radiant, and the moon a light, and He designed its phases that you may learn to count the years and to calculate. GOD did not create all this, except for a specific purpose. He explains the revelations for people who know. [017:012] We rendered the night and the day two signs. We made the night dark, and the day lighted, that you may seek provisions from your Lord therein. This also establishes for you a timing system, and the means of calculation. We thus explain everything in detail. [055:033] O ye assembly of Jinns and men! If it be ye can pass beyond the zones of the heavens and the earth, pass ye! not without authority shall ye be able to pass! Similarly, our North and South Poles' Prayer and Fasting time determination are done based on fixing certain times, usually based on the near by lands' sunrise and sunset cycles, and their vertical time zones. The sunrises and sunsets in the Glorious Quran. The Glorious Quran is filled with thousands of Numerical and Scientific Miracles. We have listed them here. So it should be of no surprise to anyone, at all, to see the Glorious Quran's description of the sun's rising and setting to be scientifically accurate. قرنين Qarnayn = two horns. "Until he reached near حتى اذا بلغ where the sun is up مطلع الشمس, he found it above وجدها تطلع على people قوم whom We made no cover for them from it لم نجعل لهم من دونها ستر. (The Noble Quran, 18:90)"
What if Dhil Qarnayn was an idol-worshiping pagan? Allah Almighty did not say that He made "no cover" for them from it for the sunset. He said it for the sun-up only, which further proves that indeed the sun being always up, in Noble Verse 18:90 below, is referring to a geographical area in the North, since so much geographical proofs, and 1000-year old maps below, also point to that location as well. "We made no cover...." was never mentioned for sunset. Only to "where the sun is up...." مطلع الشمس in Noble Verse 18:90, which further supports that "We made no cover...." is indeed talking about the Northern territories near the North Pole. See ample pictures of the sun never sets at the North Pole. See below. "We made no cover...." was never mentioned for sunset. Only to "where the sun is up...." in Noble Verse 18:90, which further supports that "We made no cover...." is indeed talking about the Northern territories near the North Pole. See ample pictures of the sun never sets at the North Pole. They also almost spoke unintelligibly: "...people who almost spoke unintelligibly" (18:93) لايكادون يفقهون قولا. 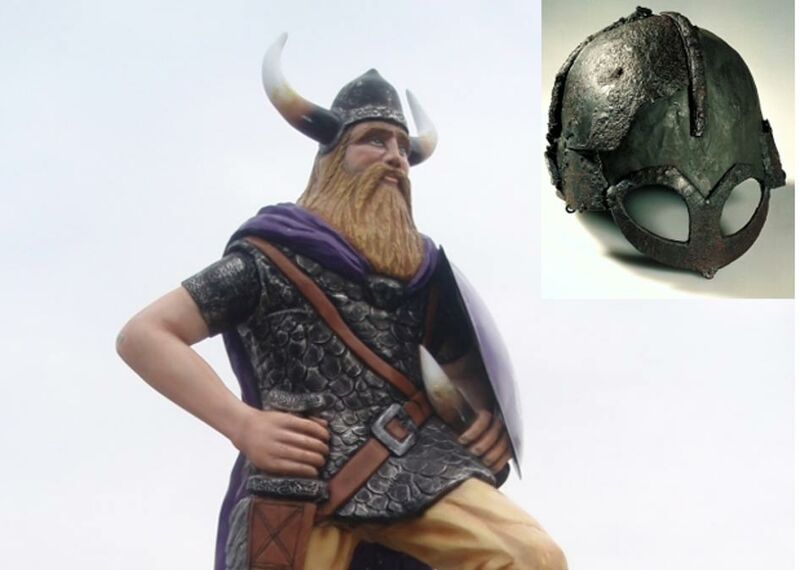 See the references below about the Vikings' language, and similar people of the North, when they were Barbarians. Historians precisely say they spoke unintelligibly . In either case, the Glorious Quran is the Divine and Miraculous Book of Allah Almighty. The Holy Book is filled with thousands of Numerical and Scientific Miracles. We have listed them here. So it should be of no surprise to anyone, at all, to see the Glorious Quran's description of the sun's rising and setting to be scientifically accurate. 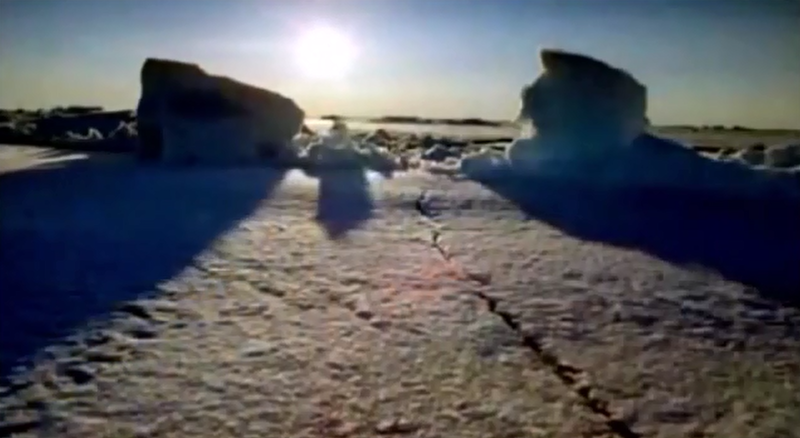 At the top of the North Pole, the sun never sets, and shown in this video. I also quoted the scientific sources from Wikipedia. 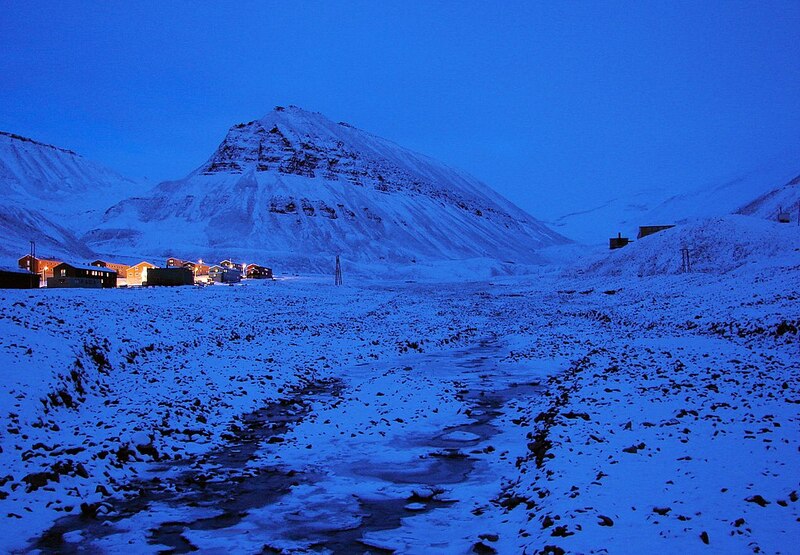 Also in the lands near by, the sun almost never sets either, and I quoted sources for that as well, and also showed pictures of the "polar night" skies on these lands. See ample pictures. See also the 1000s of examples of the Glorious Quran's Stunning Numerical and Scientific Miracles. 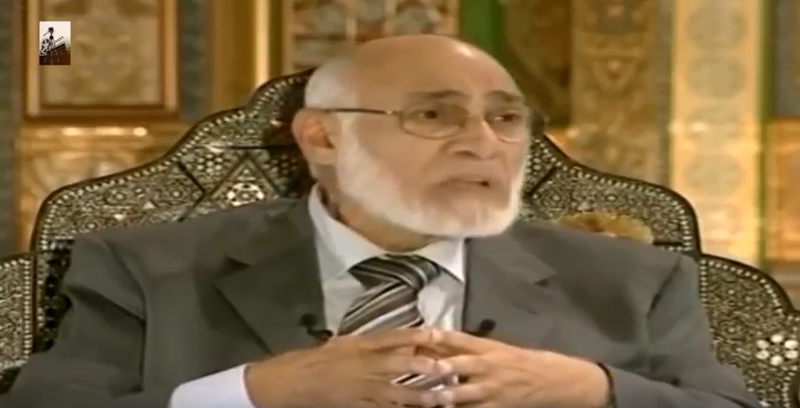 Allah Almighty Said that He will show the latter generations these Miracles to prove that the Quran is from Him. 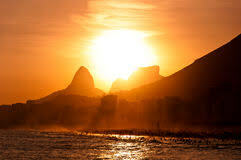 1- The place where the sun never sets. 2- The two barriers and a tribe from Gog and Magog. 3- The murky body of water that resembles an eye. [033:010] When they came upon you from above you and from below you, and when the eyes grew wild and the hearts reached (بلغت balaghat) to the throats, and you were harbouring doubts about Allah. حمئة is murky and/or muddy   . "وجَدها تَغْرُب في عَيْنٍ حَمِئةٍ، وقرأَ ابن مسعود وابن الزبير: حاميةٍ", translates as "He found it setting in a body of water that is HAME'AH حمئة , is read by Ibn Masood and Ibn Al-Zubayr as: HAAMIYAH حاميةٍ"
The hotness of the lake here is symbolic, which is perhaps why Allah Almighty chose حمئة and not حامية, which the latter literally means "hot". So حمئة is symbolically hot, and it is actually murky and/or muddy. And Allah Almighty always Knows Best. Lake Issyk Kul here gives us a beautiful natural description on what the body of water that Dhil Qarnayn ذي القرنين and his army reached was like. It could very well be indeed lake Issyk Kul itself. Or it could be a similar body of water with similar features. Only Allah Almighty Knows. In either case or in any case regarding Noble Verse 18:86's body of water, the Glorious Quran is the Divine and Miraculous Book of Allah Almighty. The Holy Book is filled with thousands of Numerical and Scientific Miracles. We have listed them here. So it should be of no surprise to anyone, at all, to see the Glorious Quran's description of the sun's rising and setting to be scientifically accurate, and very beautiful. "The Gates of Alexander was a legendary barrier supposedly built by Alexander the Great in the Caucasus to keep the uncivilized barbarians of the north (typically associated with Gog and Magog ) from invading the land to the south. The gates were a popular subject in medieval travel literature, starting with the Alexander Romance in a version from perhaps the 6th century. The wall, also known as the Caspian Gates, has been identified with two locations: the Pass of Derbent, Russia or with the Pass of Dariel, west of the Caspian Sea. Tradition also connects it to the Great Wall of Gorgan (Red Snake) on its south-eastern shore. Historically, these fortifications were part of the defence lines built by Sasanians of Persia. The Great Wall of Gorgan may have been built by the Parthians. The name Caspian Gates	originally applied to the narrow region at the southeast corner of the Caspian Sea, through which Alexander actually marched in the pursuit of Bessus, although he did not stop to fortify it. It was transferred to the passes through the Caucasus, on the other side of the Caspian, by the more fanciful historians of Alexander. 1. Apocalypse of Pseudo-Methodius 8; Alexander Romance, epsilon recension 39.
a. Josephus, Antiquities of the Jews 1.123 and 18.97; The Jewish War 7.244-51. 2. Bietenholz, Peter G. (1994). Historia and fabula: myths and legends in historical thought from antiquity to the modern age. Brill. ISBN 9004100636. Historians and archeologists are now discovering that the ancient Vikings have discovered and reached vast lands on earth, including being the first to discover the lands of Canada and America. So there is so much that remains unknown about the Barbarians of the Vikings and other similar tribes from other nations. [018:083] They ask thee concerning Dhil Qarnayn. Say, "I will rehearse to you something of his story منه ذكرا." ‏مطلع الشمس. Again, see ample pictures of the sun never sets at the North Pole. مطلع الشمس where the sun is up. It does not mean sunrise. 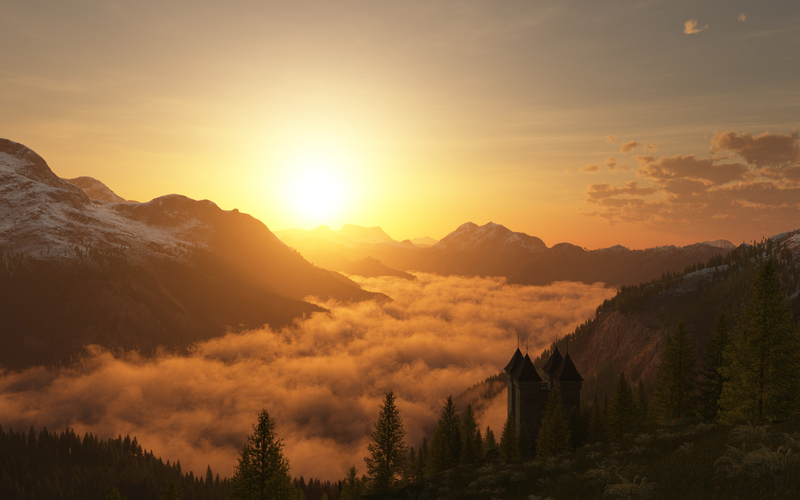 In Arabic, sunrise is مشرق الشمس, where مشرق is derived from شرق east. 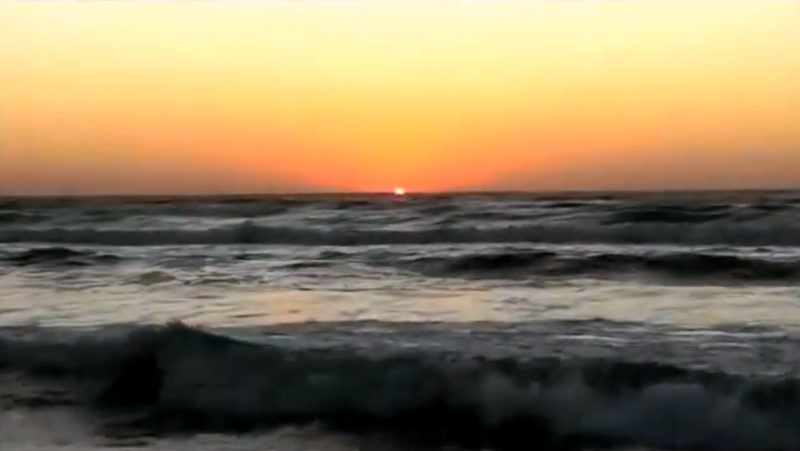 See ample examples from the Glorious Quran about sunrise and sunset. 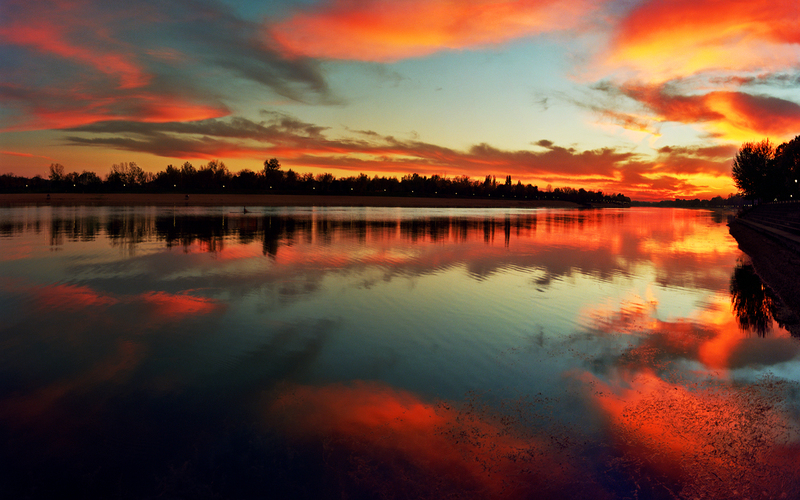 مغرب الشمس is sunset. مغرب is derived from غرب west. But here, Allah Almighty used مطلع الشمس , which literally here means where the sun is always up. مطلع is derived from طلع which means going up, which is why some Muslims a few centuries after Prophet Muhammad, peace be upon him, believed that Dhul Qarnyn reached up north, not east. 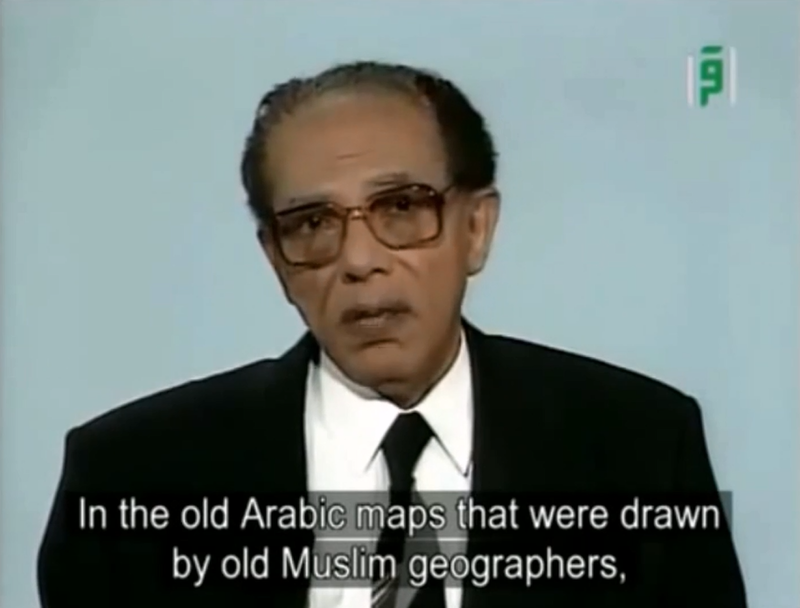 Late Dr. Mustafa Mahmoud, may Allah Almighty rest his soul, presented these maps. 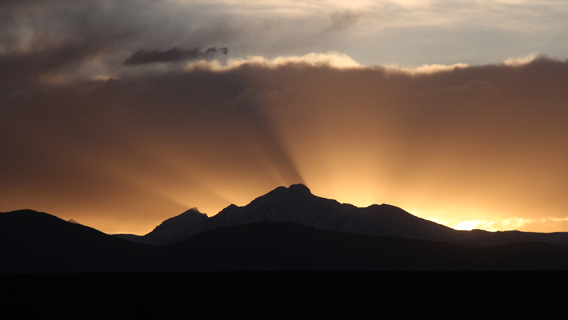 See ample examples from the Glorious Quran about sunrise. 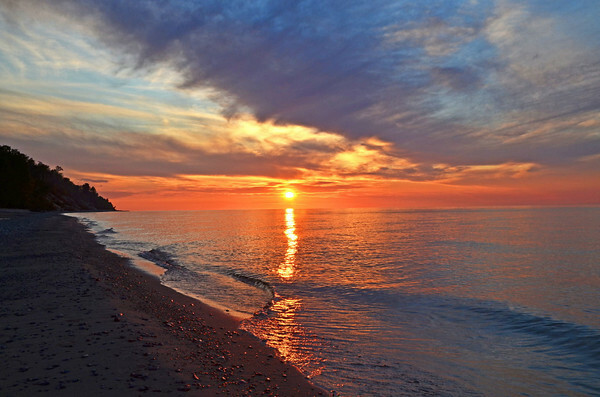 See ample examples from the Glorious Quran about sunset. See ample pictures of the sun never sets at the North Pole. "We made no cover...." was never mentioned for sunset. 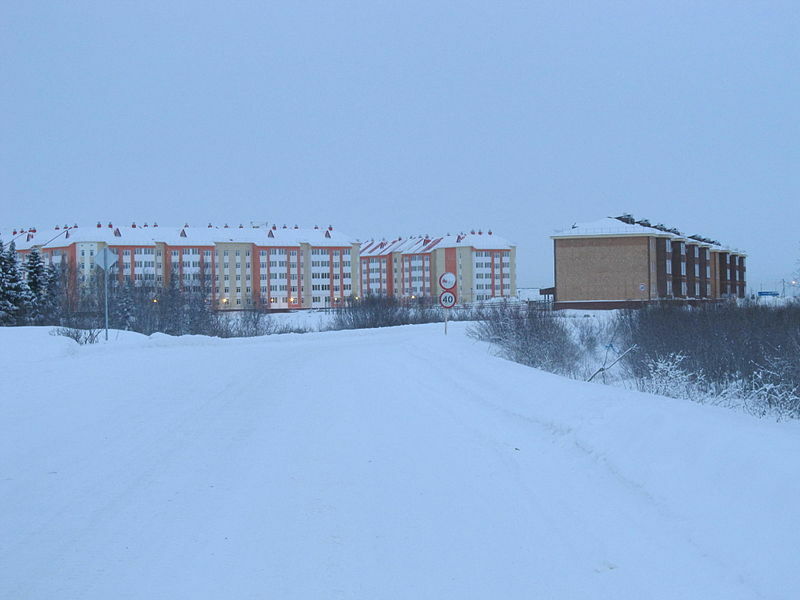 Only to "where the sun is up...." in Noble Verse 18:90, which further supports that "We made no cover...." is indeed talking about the Northern territories near the North Pole. See ample pictures of the sun never sets at the North Pole. See below. [097:002] And what will explain to thee what the night of power is? [097:003] The Night of Power is better than a thousand months. [097:005] Peace!...This until the rise مطلع of morn! The Glorious Quran was sent in the Holy Month of Ramadan, and in the Night of Power. There is a special Peace and Blessing from Allah Almighty in this Night until the rise مطلع of the morn unto Mecca, the Holy place that the Glorious Quran was first sent down to and revealed in. Here, the tree of Zaqqoom in Hell, will have shoots that will appear as the heads of the devils when it first appears to the infidels. [037:055] He looked down فاطلع and saw him in the midst of the Fire. At the Day of Judgment, Allah Almighty will allow the Believers to look down, from above, and see the punishment of the infidels. فاطلع here means Allah Almighty will let the believers take a peak from above. [104:005] And what will explain to thee That which Breaks to Pieces? Here Hell Fire will overwhelm even the hearts of the disbelievers. It will be all over them. [018:090] Until, when he came to the rising of مطلع the sun, he found it rising on تطلع a people for whom We had provided no covering ستر against the sun. Allah Almighty Said that Dhil Qarnayn reached near بلغ where the sun is up, or always up, and he saw it above people who don't have shade (night shade) ستر from it. Balagha بلغ , here means getting close to the sunsetless point of the sun on earth. Polar night in Stockholm, Sweden. Click on image. Polar nights in the Arctic Circle. Click on image. Again, Allah Almighty didn't say مشرق الشمس sunrise, which is the term that counters مغرب الشمس sunset. 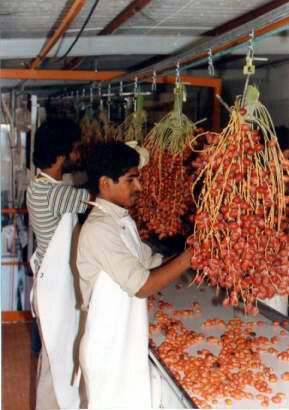 مغرب is derived from غرب west. No, instead, the Almighty used مطلع الشمس. The Noble Verses were talking about near by lands to the North Pole. "...people who almost spoke unintelligibly" (18:93) لايكادون يفقهون قولا. 3- "So what happened in the Northern Isles? Dhul or Dhil = one with. 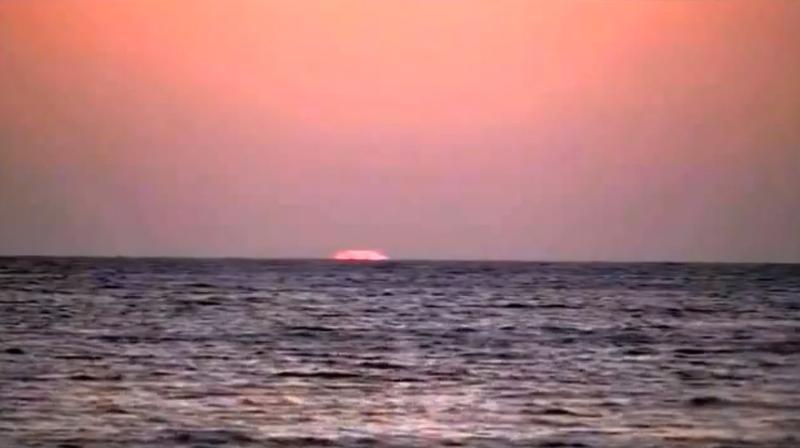 So the sun sets inside a body of water? And how exactly does it rise back up again according to the anti-Islamics? First of all, the Arabic Quran doesn't have the word PLACE (MAKAAN) in the Noble Verse. Anti-Islamics such as David Wood deliberately use a wrong translation to prove their falsehood. The hearts didn't literally reach the throats. Ample more Noble Verses on BALAGHA are listed in this article. 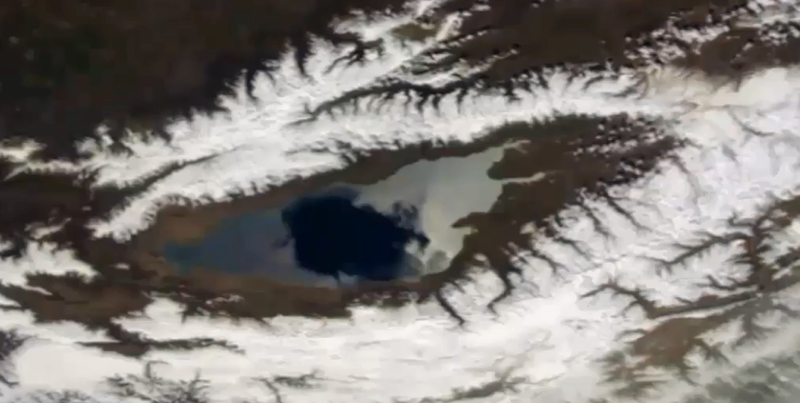 Dr. Zaghloul Al-Najjar talks about the muddy pool of water that also happens to look like an eye. again, عين means both an eye and a body of water in Arabic. 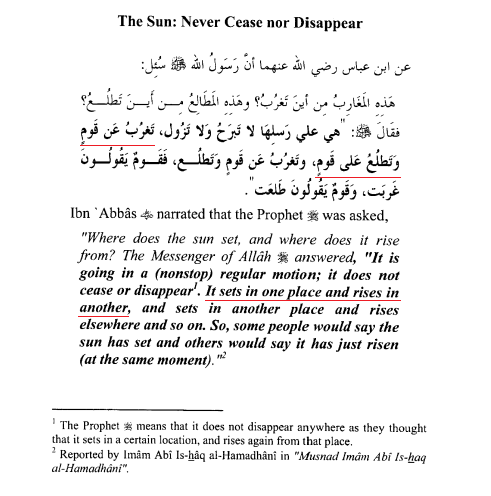 Again, Allah Almighty referred to the actual rising and setting points of the sun on earth. 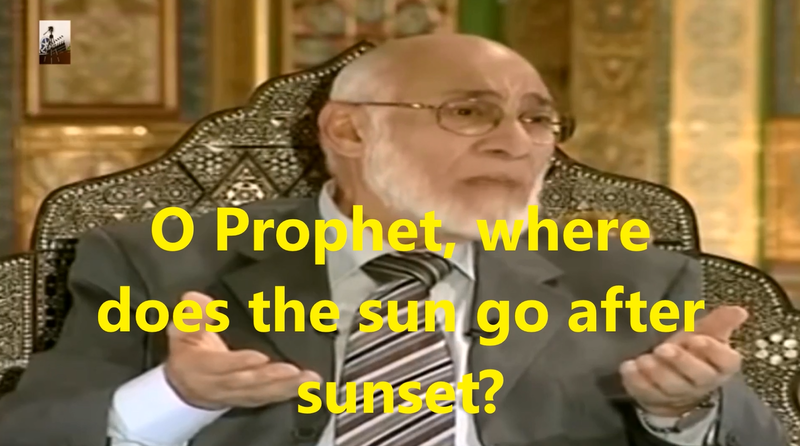 The Glorious Quran says there are many rising and setting points  of the sun on earth. 3- Al-Ijaz Al-Ilmi Fe Al-Sunna Al-Nabawiyyah, Dr. Zaghloul Al-Najjar, Page 132. The Glorious Quran speaks about the SUN TRAVELING IN SPACE IN ITS ORBIT . The Glorious Quran in multiple Noble Verses spoke about the earth being SPHERICAL, TRAVELING IN SPACE, ROTATING AROUND ITSELF, and IS IN CONSTANT MOTION . If the sun were to set in a body of water, then it would have to rise back again from that place. And no where does it say that it would set again in another pool of water (i.e., bouncing back and forth). Allah Almighty never declared that Dhul-Qarnayn reached the ends of the earth. No mention of ends of the earth in the entire Glorious Quran. Unlike the Bible, for example, where it talks about earth's "four corners", the Quran has no such phrases. It is standing on pillars that prevent it from shaking. GOD Almighty will shake the earth to throw the people into space. Please visit: The Bible declares that the earth is flat . This is why the sun doesn't orbit around the earth in one straight line. This is due to earth's axle tilt and change of orbit. So the sunset and sunrise points (plural) in the Glorious Quran could be astronomical points. This might be similar to the location of Mecca, and the location of the Dome of the Rock in Jerusalem, where Prophet Muhammad, peace be upon him, was taken up to Heaven from that rock (before the Dome was built above it). Consider the following moon's orbit Miracle in the Glorious Quran. Notice below "...until it ends up looking like حتى عاد...". Where does it astronomically begin and end up عاد? Again, Where does the moon astronomically begin and end? Read ample Noble Verses, analysis, quotations from scientific sources, and so much more in this article. Again, read the ample Noble Verses, analysis, quotations from scientific sources, and so much more, after the Abstract table, in this article.